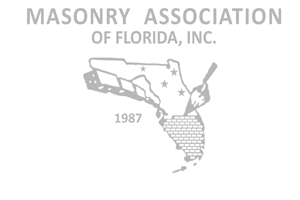 ​The Masonry Association of Florida, Inc. (MAF) Masonry Excellence Awards Program focuses the spotlight on the skilled MAF masonry contractors, architects and industry suppliers that are responsible for an array of outstanding masonry projects in the state of Florida. ​The projects will be graded on a scale of 1 - 10 (1= poor and 10=best) in five categories, with a maximum high score of 50. 5. Clean Job – Level Plumb, etc. If you need assistance, please contact Deb deb@floridamasonry.com or @ 954-295-9926. ​​Thank you for your participation!